You may be sitting in traffic in your Uber, when the latest Mercedes-Benz rocks past, lights flashing, engine throbbing. You may be walking through the Yuyuan Garden, holding your fake Rolex watch you just purchased from the market and get passed by a suave-suited CEO wearing a real ¥62,000 one. Bulgari – the Italian jewellery and luxury goods brand that produce several product lines of watches, fragrances and accessories – recently opened their first hotel in Shanghai and it’s a beautiful thing to behold, really. Bulgari’s first hotel was opened in 2012, in Knightsbridge, London, becoming the most expensive one in the world and cementing themselves in the history books. 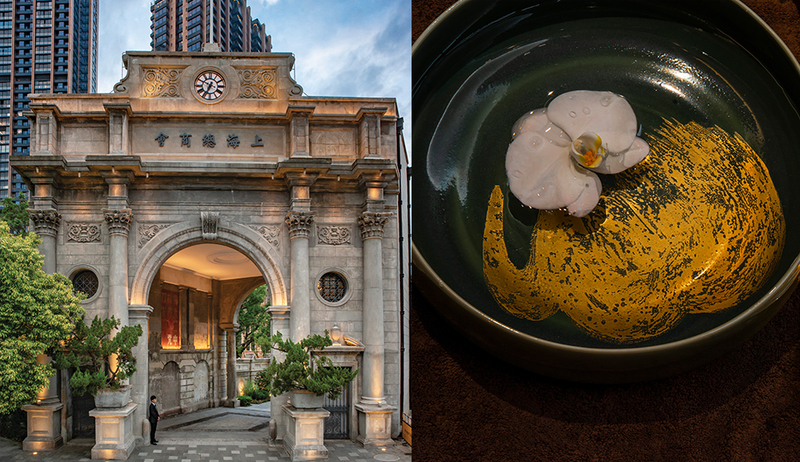 Seven hotels later (and three more planned to open in Moscow, Paris and Tokyo), Bulgari Hotel Shanghai is so much more than just a hotel. 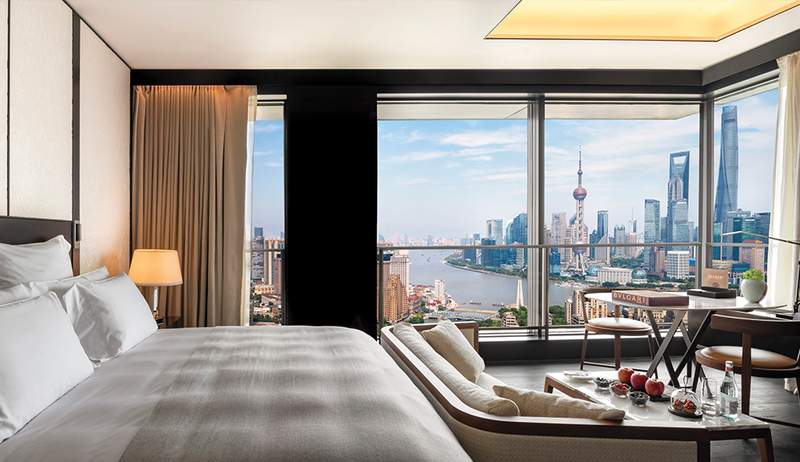 Earlier this year, Bulgari welcomed into the Shanghai market a new, stunning place to stay on holiday. 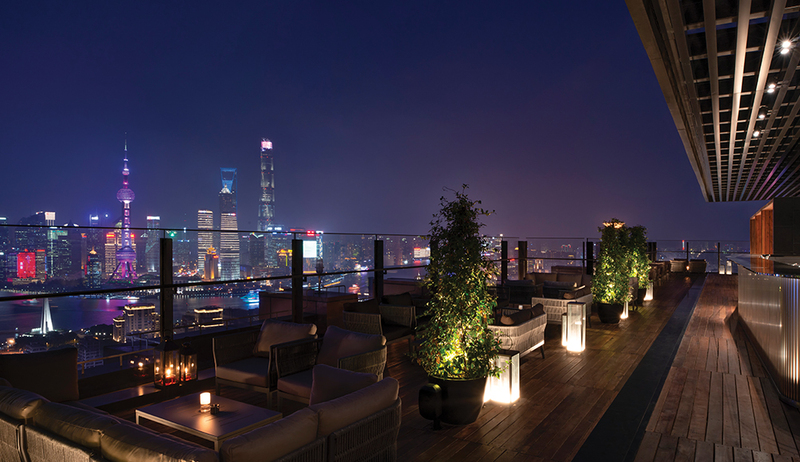 Located just a few minutes walk from the waterfront area of the Bund and Shanghai City Centre, the Bulgari Hotel Shanghai is a stone’s throw from the night-life and hundreds of restaurants on offer in this dazzling city. While staying at the hotel, be sure to get one of your first meals or drinks at the rooftop restaurant and bar, Il Ristorante. The hotel itself is something out of a hightech blockbuster film. Guests can enjoy an intimate experience in highly-furnished rooms and suites that incorporate opulent design and unique Italian style. With up to 80 rooms available, there is a wide range of things on offer. Every room features exquisite Italian design by Antonio Citterio and Patricia Viel, with hand-crafted Italian furniture using rich, natural fabrics. With an average size of over 60-square-metres, the hotel rooms are some of the most spacious in the world. Luxurious suites range from 81-square-metres to the 570-square-metres. Guests can be treated to Superior, Deluxe, Premium, Premium Bund View or Bvlgari Suite rooms. Complimentary Champagne and caviar are offered to guests on entry and guests are treated to three in-hotel restaurants, a fitness centre, spa, barbers, hairdressers, valet parking, concierge service, housekeeping, security and landscaping. On the rooftop overlooking Shanghai is an Italian bar, La Terrazza; Cantonese haute-cuisine will be found at the nearby historic Shanghai Chamber of Commerce. This new hotel has brought in style, class and a certain spirit to this bustling city. Bulgari is world-renown for luxury and perfection and that definitely shows in their latest hotel venture.